Multitudes of lies are being promoted in the Church and it is vital that these lies as well as those who insist on promoting these lies are exposed. Lies are destructive and are taking many out of the will of God. 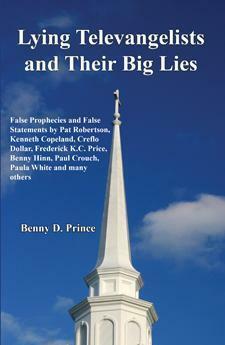 Go to www.bpbiblebooks.com where these lies and liars are exposed and the truth is revealed.